A group of employees raised over £3,000 for Barchester’s Charitable Foundation by participating in the Virgin Sport British 10K run in London earlier this month. Violet Kotu, Jodie Ramcharitar, Natasha Lazovic, Jack Titterton, Tracy Johnston and Kerry Angeloni all completed the 10K run, with Titterton racing ahead completing the route in 49 minutes. 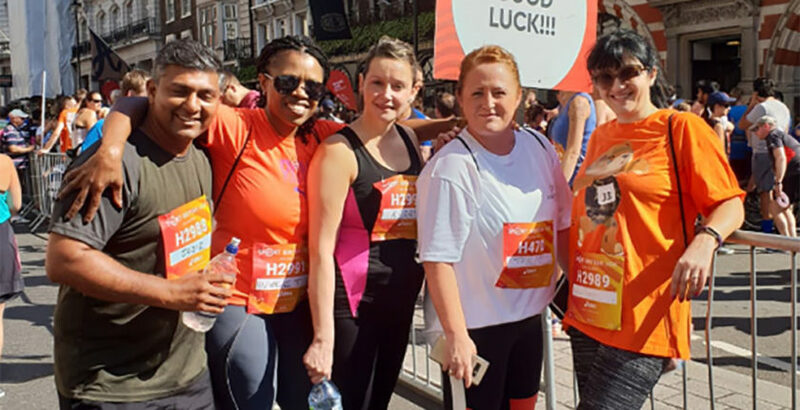 Henriette Dupont, grants manager for Barchester’s Charitable Foundation, said: “We are very proud of our team members who represented the charity during the London race, and ran on despite the incredible heat on the day. Barchester’s Charitable Foundation supports older people and other adults living with a disability by giving grants to help improve independence, mobility and quality of life.